The California Collection is inspired by my time in living sunny Los Angeles, California, where the vibe is a bit boho and a bit sophisticated – effortless and cool. 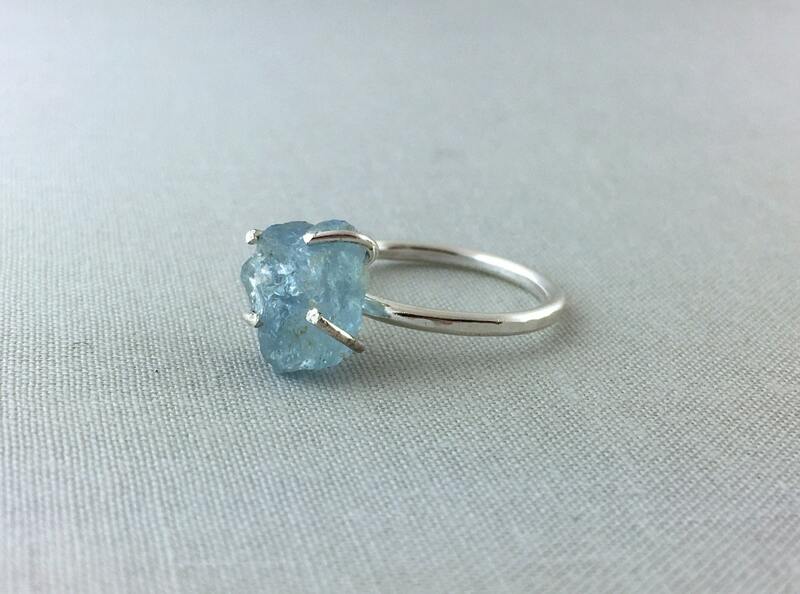 This ring fits that bill perfectly, made of solid sterling silver and a beautiful raw aquamarine stone. The stone is in a prong setting, and measures approximately two and a half to three carats, as each individual stone will vary slightly. 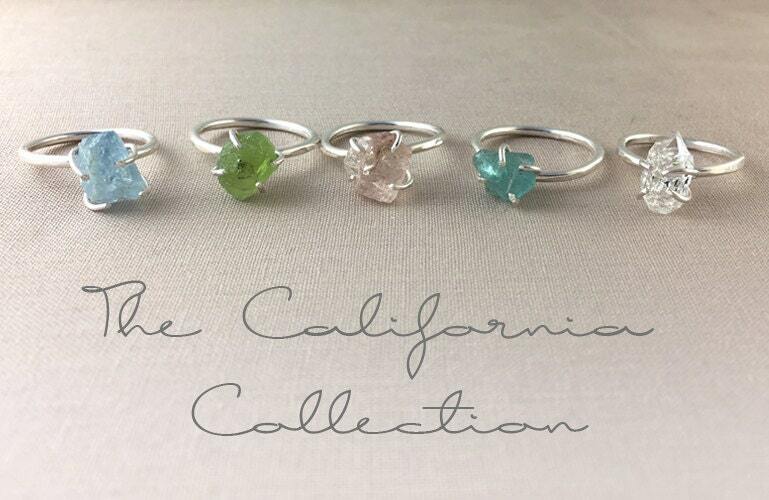 Due to the nature of natural, uncut gemstones, each ring will be slightly different and thus completely unique! 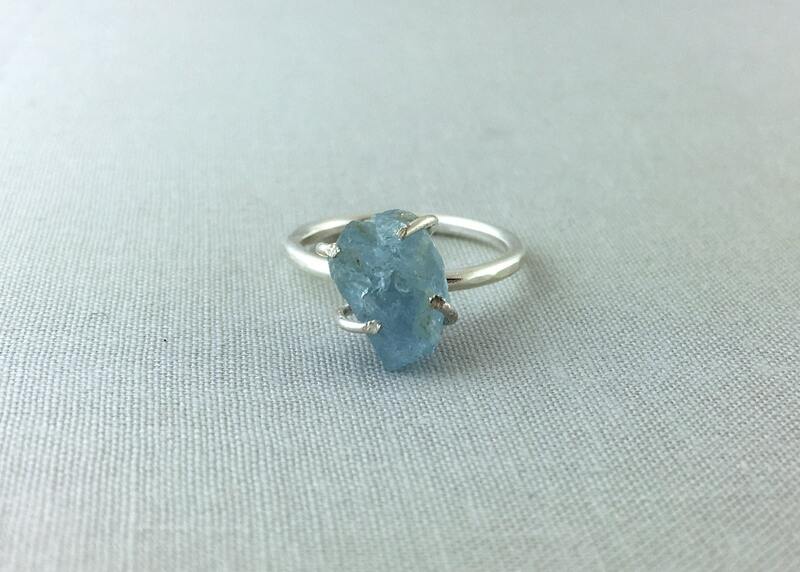 The delicate blue of this stone is just beautiful. 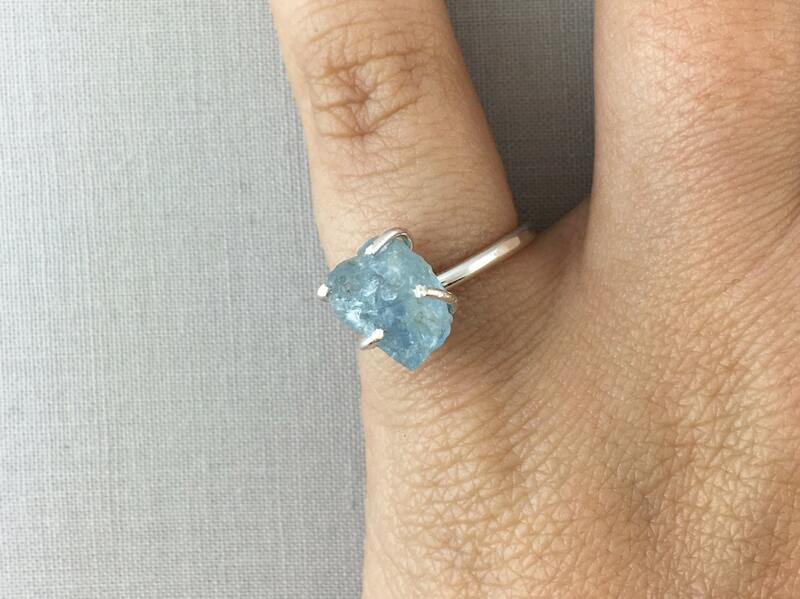 Aquamarine is also March's birthstone! 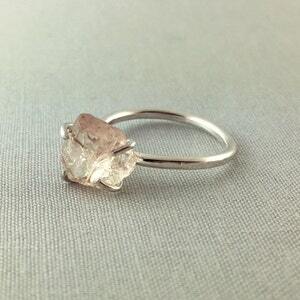 The ring band is completed with a lightly hammered finish for a little extra sparkle. 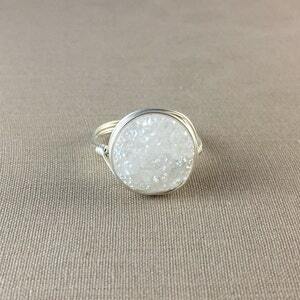 This ring is made to order in sizes 4-12, including half sizes. 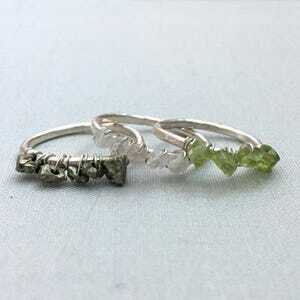 It also stacks perfectly with these silver stacking rings (https://www.etsy.com/listing/273282542), letting you customize to get just the look you want! 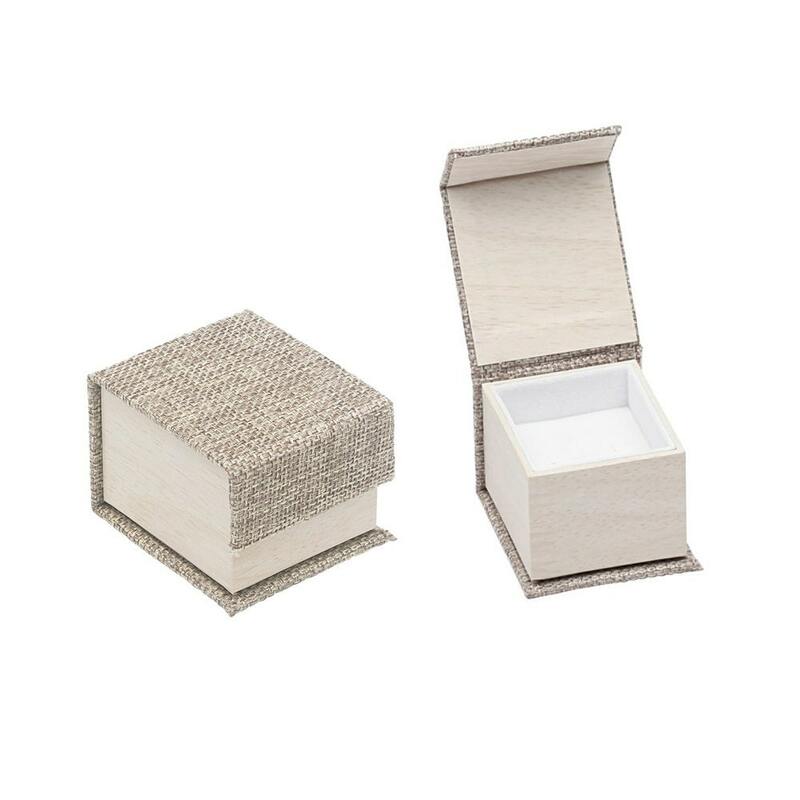 The ring is carefully packaged in a beautiful ring box and shipped FREE via USPS First Class Mail! (Domestic only, international shipping extra.) Upgraded shipping and gift wrap options are available at checkout. 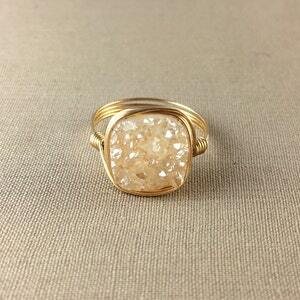 I loved this ring but it was not for me. The seller returned the money immediately. The sign of a great seller. I'm sorry it didn't work out for me.